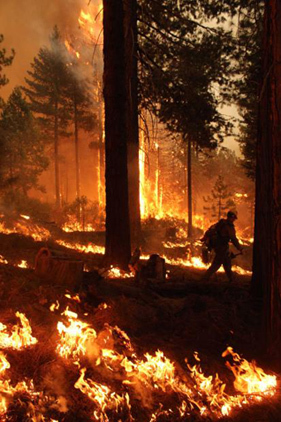 According to the National Park Service, as many as 90 percent of wildland fires in the United States are caused by humans. 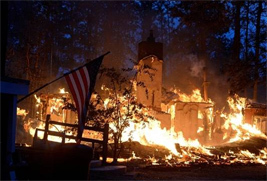 Some human-caused fires result from campfires left unattended, the burning of debris, negligently discarded cigarettes, recreational vehicles, target shooting (including exploding rifle targets), and intentional acts of arson. The remaining 10 percent are started by lightning or lava. As our population continues to grow, more and more people are building homes in places that were once pristine wilderness areas. Homeowners who build in remote and wooded areas must take responsibility for the way their buildings are constructed and the way they landscape around them. Use Fire Resistant Building Materials – The roof and exterior structure of your home and other buildings should be constructed of non-combustible or fire-resistant materials. If wood siding, cedar shakes or any other highly combustible materials are used, they should be treated with fire retardant chemicals. Landscape wisely – Plant fire-resistant shrubs and trees to minimize the spread of fire and space your landscaping so fire is not carried to your home or other surrounding vegetation. Remove vines from the walls of your home. Stack firewood at least 30 to 100 feet (10 to 30 m) away and uphill from home. Keep roof and gutters free of pine needles, leaves, and branches and clear away flammable vegetation at least 30 to 100 feet (9 to 30 m) from around structures. Thin a 15-foot (4.5 m) space between tree crowns and remove limbs within 10-15 feet (3 – 4.5 m) of the ground. Prune tree branches and shrubs within 10 feet (3 m) of a stovepipe or chimney outlet. Keep combustibles away from structures and clear a 10-foot (3 m) area around propane tanks, boats, etc. Install smoke detectors, test them each month and change batteries once a year. Install protective shutters or fire-resistant drapes. Inspect chimneys twice a year and clean every year. Cover chimney and stovepipe flue openings with 1/2 inch (1 cm) or smaller non-flammable mesh screen. Use same mesh screen beneath porches, decks, floor areas and home itself. Also screen openings to attic and roof. Soak ashes and charcoal briquettes in water for two days in a metal bucket. Keep a garden hose connected to an outlet. Put your address on all structures so it can be seen from the road. 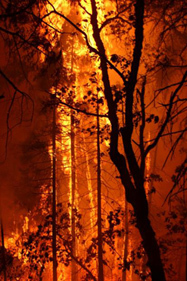 Campfire Safety – Campfires are a common cause of brush fires or wildfires so please be careful when you’re out in deserts, mountains, or any other heavy vegetation areas. NEVER leave a campfire burning – make sure it is completely out using plenty of water before leaving the area. Stir the coals around with a stick or log while pouring water over them to ensure all the coals get wet and they are no longer hot. Any hot coals left unattended can be easily ignited by wind since they can stay hot for 24 – 48 hours. When building a campfire, always choose a level site, clear away any branches and twigs several feet from the fire, and never build a fire beneath tree branches or on surface roots. Also, build at least 10 feet (3 m) from any large rocks that could be blackened by smoke or cracked from a fire’s heat. 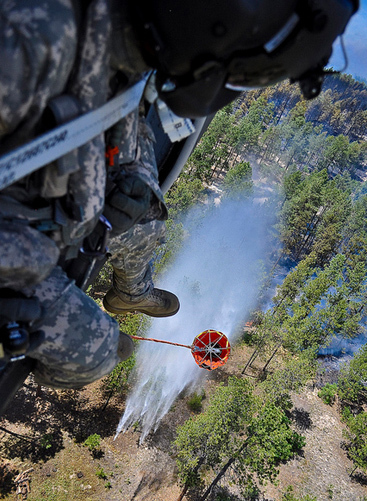 Prepare – See Mitigation tips above. Could they find & reach you? – Make sure that fire vehicles can get to your property and that your address is clearly marked. Safety zone – Create a 30-100 foot (9-30 m) safety zone around your home. Teach kids – Explain to children that matches and lighters are TOOLS, not toys… and if they see someone playing with fire they should tell an adult right away. And teach kids how to report a fire and when to call 9-1-1. 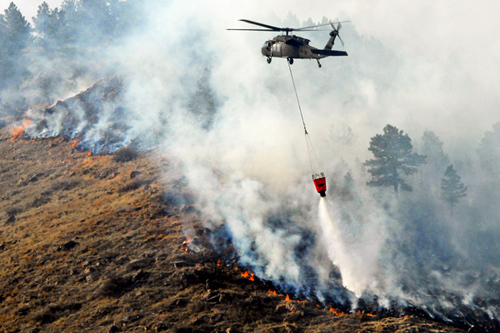 Tell authorities – Report hazardous conditions that could cause a wildfire. Listen – Have a radio to keep up on news, weather and evacuation routes. Secure your home – close windows, vents, all doors, etc. Turn off utilities and tanks at main switches or valves. Head downhill – Fire climbs uphill 16 times faster than on level terrain (since heat rises) so always head down when evacuating the area. Food & water – If you prepared ahead, you’ll have your Disaster Supplies Kit handy to GRAB & GO… if not, gather up enough food and water for each family member for at least 3 days or longer! 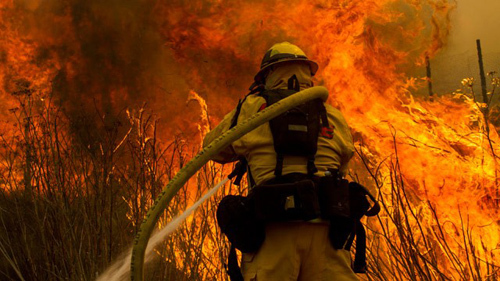 Be understanding – Please realize the firefighters main objective is getting wildfires under control and they may not be able to save every home. Try to understand and respect the firefighters’ and local officials’ decisions. 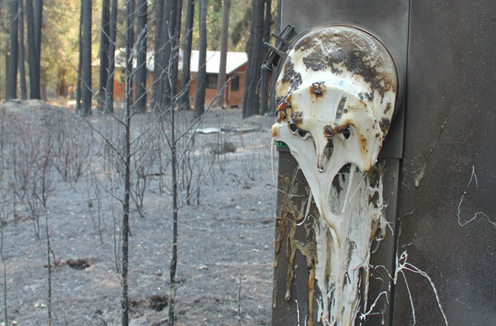 Don’t go there – Never enter fire-damaged areas until authorities say it’s okay and watch for signs of smoke or heat in case the fire isn’t totally out. Critters – Don’t try to care for a wounded critter — call Animal Control. Utilities – Have an electrician check your household wiring before you turn the power back on and DO NOT try to reconnect any utilities yourself! Damage – Look for structural damage (roof, walls, floors) — may be weak. Call for help – Local disaster relief services (Red Cross, Salvation Army, etc.) can help provide shelter, food, or personal items that were destroyed. Do not throw away any damaged goods until an official inventory has been taken by your insurance company. If you rent – Contact your landlord since it is the owner’s responsibility to prevent further loss or damage to the site. Move your stuff – Secure belongings or move them to another location. 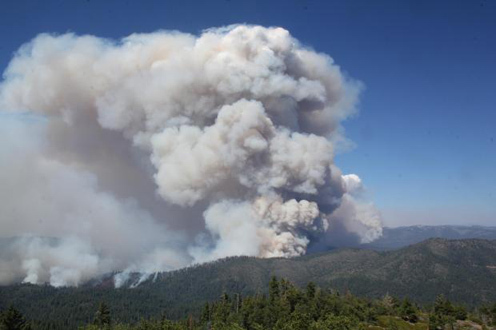 The massive Rim Fire burning in and around California’s Yosemite National Park is now the largest U.S. wildfire in 2013 and currently the nation’s top priority as many residents remain evacuated as of Saturday morning (31-August). 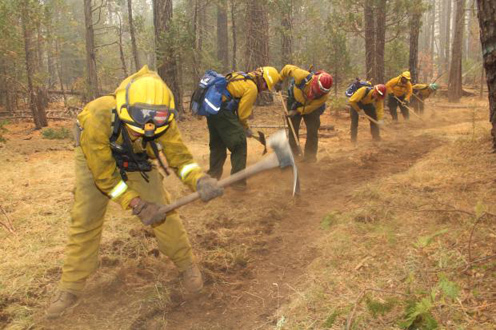 As of Sat evening, Inciweb is reporting the Rim Fire is 222,777 acres and 40% contained with over 5,000 personnel battling the blazes, and officials are projecting they may have full containment by late September. Unfortunately this beast is human-caused and, although investigators have not determined the official cause yet, a local Fire Chief has indicated it may be the result of illegal pot growers. The remaining 10% are started by lightning or lava. 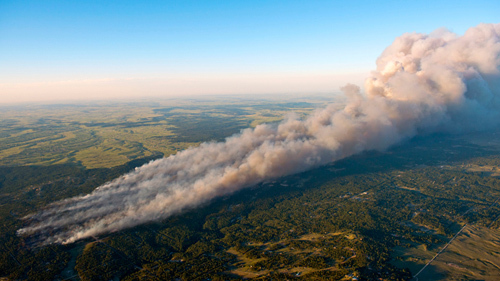 In addition, wildfires caused by lightning burn an average of 5.5 million acres annually. 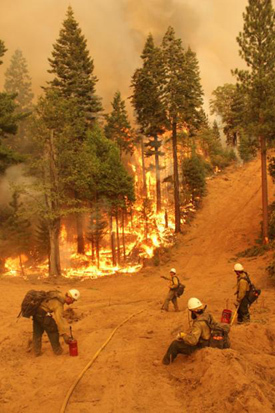 Even though it seems like much of the western U.S. is burning, the National Interagency Fire Center reports 34,388 fires have burned almost 3.8 million acres in the U.S. from January 1 – August 31, 2013 … which is well below the 10 year average of 54,072 fires that burned 6 million acres for this same time period. 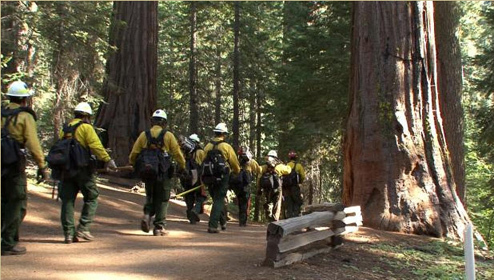 and visit USFRA’s Wildland Fire Prevention and Safety group to learn more. Dozens of wildfires are currently scorching the western U.S. with Colorado and New Mexico getting hit the hardest recently … but unfortunately the country still has a long, hot summer to go. 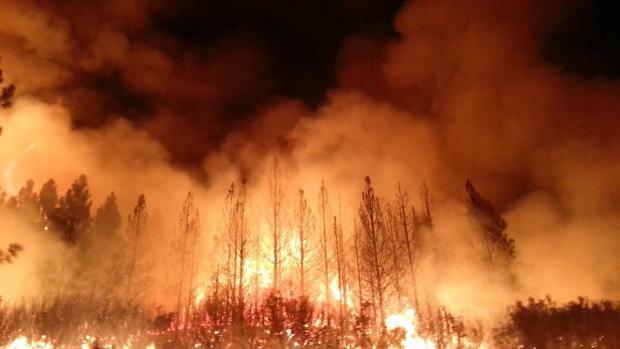 Wildfires consume nearly 8 million acres of forested land each year on average across the United States. 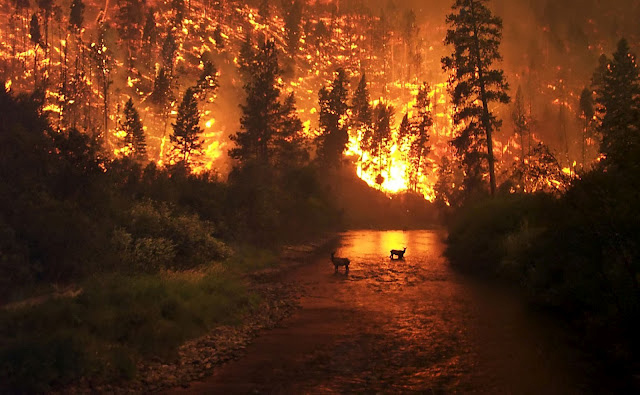 The National Interagency Fire Center (NIFC) reports as of June 14, 2013 there have been 19,472 fires across the U.S. which have burned 461,850 acres year-to-date so the country is way below average … for now. 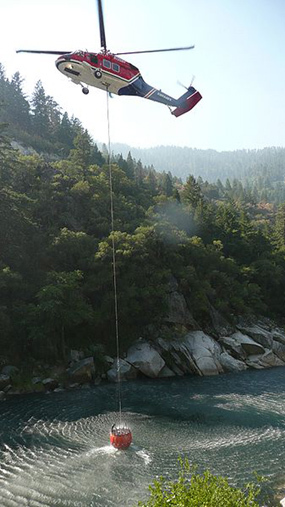 In today’s Friday Fotos we wanted to share some wildfire scenes from the front lines including helicopters, fixed-wing aircraft and the amazing firefighters. You are currently browsing the archives for the wildfires category.